Affordable waterfront living! Located on Lake Nash in Holiday, FL you’ll find this 2 bedroom/2 bath/1 car garage home located on an oversized corner lot. The home is situated on a lot just shy of ¼ acre giving you plenty of room for those outdoor activities and gardening. Location is near the Tarpon Springs docks, beaches, and shopping and within easy access to Pinellas county and Tampa areas. Just inside the entry area, through a beautiful wrought-iron divider, the home features a formal living room/dining room combination perfect for family holiday meals or entertaining. The dining room and family room both have sliders opening into the Florida room with mosaic-style tiled floor which overlooks the backyard and its waterfront view. In the center of the home is a cozy kitchen featuring a breakfast bar with pendant lights which gives options for seating or to serve buffet-style meals. The family room with its brick accent wall offers great space for those less formal times and relaxation. Large windows in the formal living/dining room, family room, and both bedrooms let in plenty of natural light. The tiled master bath features a double sink divided by a vanity area with room for a chair and plenty of counter and cabinet space. The second bathroom has a beautiful walk-in tiled shower. There is carpeting throughout the home except for the kitchen and baths and a new A/C was installed 2016.
https://trinityeastlakerealestate.com/wp-content/uploads/2018/03/LC-WebLogo-340x156-300x138.png 0 0 loricrawford https://trinityeastlakerealestate.com/wp-content/uploads/2018/03/LC-WebLogo-340x156-300x138.png loricrawford2016-06-20 19:33:142016-06-20 19:33:14Affordable Water Front Living! 3/2/2 with Roof Top Deck! 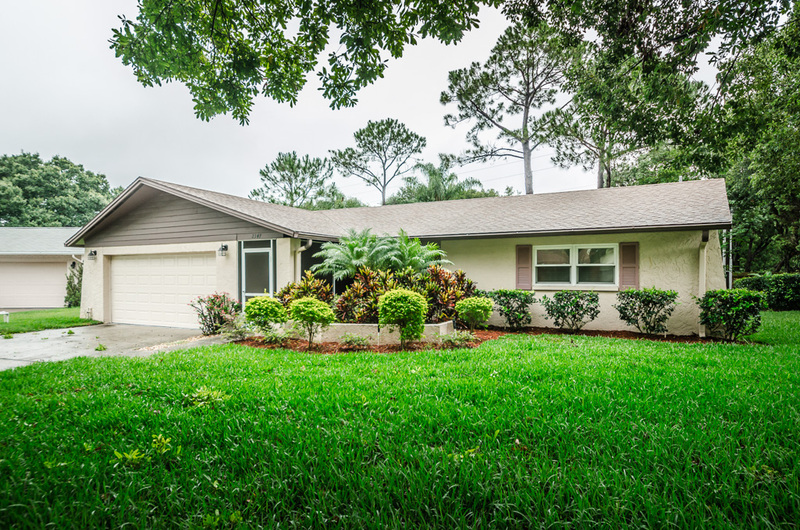 This updated 3 bedroom/2 bath/2 car garage home is a welcoming oasis in Clearwater. The front porch area with its new brick pavers lead to the new front door and foyer with a large window letting in beautiful light from outdoors. Master bedroom suite & second bedroom & bath are located on the main floor while the third bedroom, a full bath, and a family room are located on the second floor; making it perfect to use as an in-law suite or to give a teenager a little extra privacy. Just off the upstairs family room you’ll find a private deck which has recently-installed faux wood panel flooring and gives you a bird’s eye view of your backyard. The eat-in kitchen has plenty of counter and cabinet space as well as a new refrigerator, double oven, dishwasher, and garbage disposal. The Xeriscaped back yard was recently updated with a white vinyl privacy fence providing a haven for families to enjoy time together. 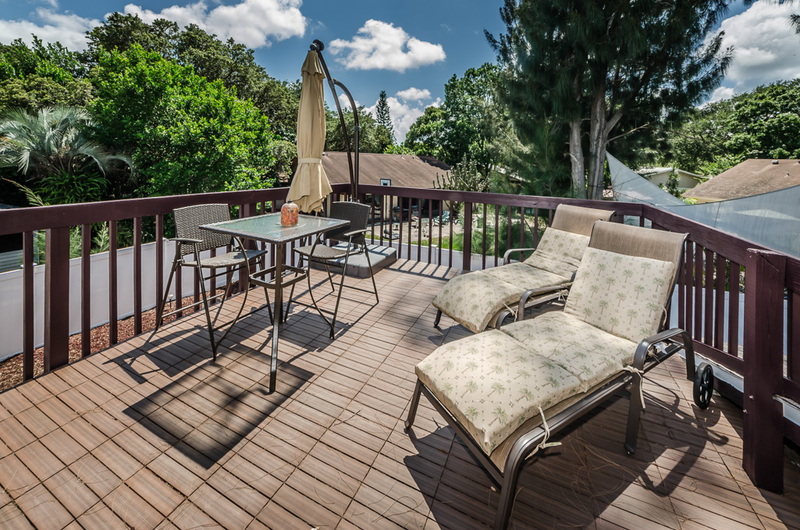 With access from the living room, the screened lanai has recently-installed faux wood floor paneling to match the upstairs deck and a ceiling fan to keep family dinners outside enjoyable. This lovely home has had many updates and renovations since 2013 including a new garage door, water softener, and outdoor lighting, to name a few. The home has new laminate flooring throughout the downstairs, new tile in the bathrooms, and new carpeting upstairs. The faucets and toilets were also updated recently. A new roof was put on in 2011, and the A/C was updated in 2010. So, what are you waiting for? https://trinityeastlakerealestate.com/wp-content/uploads/2018/03/LC-WebLogo-340x156-300x138.png 0 0 loricrawford https://trinityeastlakerealestate.com/wp-content/uploads/2018/03/LC-WebLogo-340x156-300x138.png loricrawford2016-06-19 18:38:292016-06-19 18:38:293/2/2 with Roof Top Deck! GORGEOUS & UPDATED in Highland Lakes 55+ Community! A tree-lined street is home to this Highland Lakes beauty, rich with updates and quality renovations that include newer: roof and gutters; Pella Impact/Energy Efficient Windows/Sliders throughout, hardwood floors, Trane A/C, deep irrigation well, total master bath renovation, Whirlpool Whole House Water Filtration and Softener System, lush Stainmaster bedroom carpeting, complete screened lanai replacement and tile flooring, garage door and slate entryway, updated kitchen, interior door hardware, guest bath and home security system. Custom plantation shutters and Levolor blinds, an oversized pantry, laundry room, and a wet bar with counter and tons of storage complete the picture perfection. 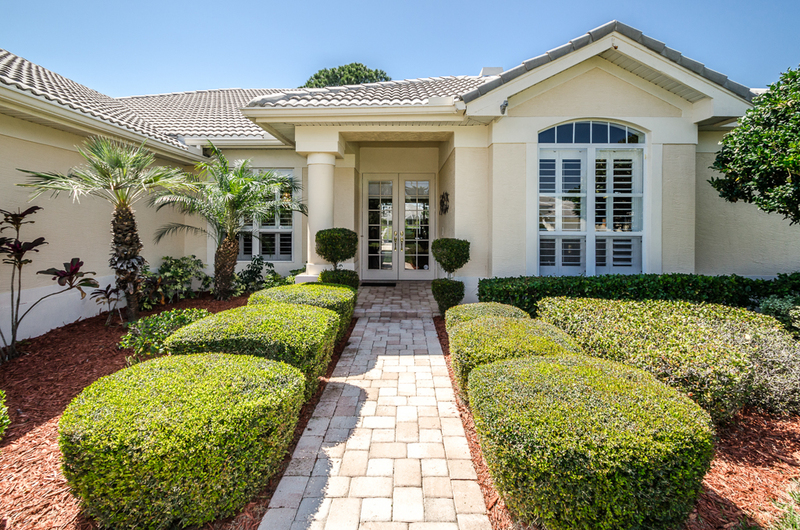 Beautifully tended, this 2/2/2 receives all the golf course, clubhouse, and recreational amenities residents cherish. 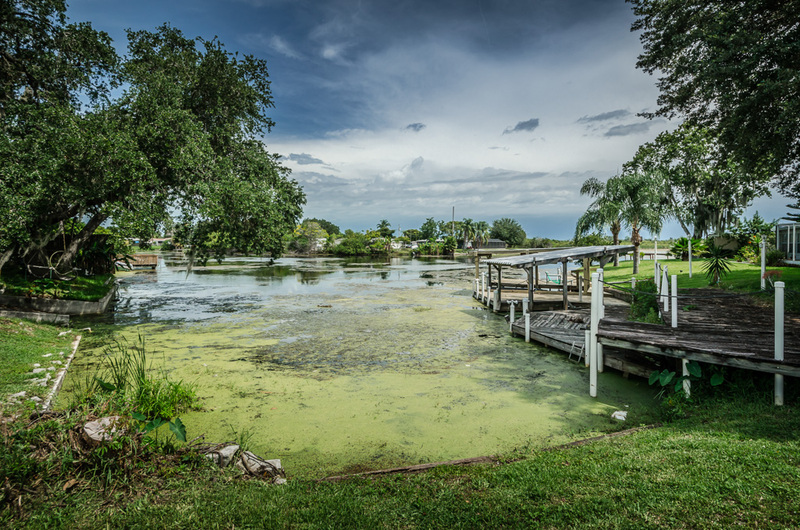 A huge private backyard lends a tranquil serenity while the best of Florida’s leisure-time activities are steps away, including the residents’ lodge nestled on famous Lake Tarpon. A world unto itself, the elevation of Highland Lakes makes it one of Pinellas County’s most popular regions, along with its 25-minute drive time to Tampa’s airport and cultural epicenter. Proximity to Clearwater Beach, area parks and marinas, makes this home and its location, ideal. https://trinityeastlakerealestate.com/wp-content/uploads/2018/03/LC-WebLogo-340x156-300x138.png 0 0 loricrawford https://trinityeastlakerealestate.com/wp-content/uploads/2018/03/LC-WebLogo-340x156-300x138.png loricrawford2016-06-10 07:16:342016-06-10 07:16:34GORGEOUS & UPDATED in Highland Lakes 55+ Community! Trinity – Fox Hollow Golf Course Home! With its sun-dappled yard and impeccable landscaping, this 4 bedroom plus office/den home features 3.5 stunning baths and a 3-car oversized garage. Nestled on an oversized corner lot on the 6th tee of the acclaimed Fox Hollow Golf Course, this Trinity residence enjoys its privacy in the gated community of Spyglass of Fox Hollow. Outside, exquisite pavers lead to a graceful portico with double entrance doors, while the same style pavers accent the screened lanai that boasts a solar-heated pool with Diamond Brite finish, a shaded dining area and the quintessential wet bar already pre-plumbed for grill and sink. Paradise. Inside, gleaming 20 x 20 tile runs through as lush carpeting cushions the bedroom floors and classic plantation shutters adorn the windows. The formal living room is spectacular. Decorative niches & crown molding highlight the room’s beautifully outfitted fireplace and triple sliders reveal sweeping views of the outdoors. A spacious Formal Dining Room offsets the casual dining space provided by the gourmet kitchen’s charming breakfast nook. Both the kitchen and the family room combine to deliver the “wow” factor and access to the pool. The kitchen is expansive with its center island, lustrous granite counters, raised panel hardwood cabinets, stainless steel appliances, pantry, and built-in wine fridge. It is separated from the ideal family room by a breakfast bar. A split bedroom floor plan, security system, & upgraded ceiling fans/light fixtures throughout complete this very pretty picture. https://trinityeastlakerealestate.com/wp-content/uploads/2018/03/LC-WebLogo-340x156-300x138.png 0 0 loricrawford https://trinityeastlakerealestate.com/wp-content/uploads/2018/03/LC-WebLogo-340x156-300x138.png loricrawford2016-06-06 19:26:182016-06-06 19:26:18Trinity - Fox Hollow Golf Course Home! Baileys Bluff Estates! Gulf Access! This quaint, welcoming home is a quiet haven showing all the beauty Florida’s Gulf coast has to offer on a .36-acre waterfront lot. The semi-circular driveway takes you to the beautiful paved walkway and front porch opening into the foyer of this airy open-plan home. Wood laminate flooring gleams in the natural light throughout the home. The three bedrooms were just updated with new carpeting. Two full bathrooms have tile floors & granite countertops to add a sense of spa luxury to the comfort of the home. Centrally located is the roomy kitchen which has plenty of space on its granite countertops to prepare delicious meals & features stainless steel appliances and breakfast bar. The separate laundry room’s storage cabinets keep laundry supplies and seasonal items out of the way. The home includes a 2 car detached garage with a walkway to the home, an outdoor shower, & new exterior stucco and painting. Two sets of double French doors bring natural light into the home and open from the step-down family room to the screened pavered lanai making it the perfect location for a sunset dinner. The patio area outside is also paved and offers a great location for your barbeque. 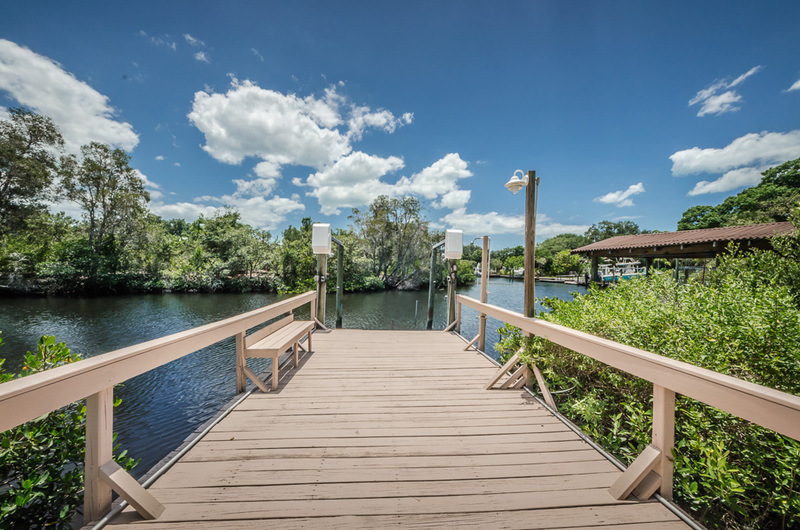 Walking just steps across the sunny backyard provides a beautiful view & a recently renovated dock with boat lift, electricity, lighting & water line at the canal with direct access to open Gulf waters. You’re only 10 minutes to Anclote Key, Key Vista Nature Park, Gulf Anclote Park & Anclote River Park. https://trinityeastlakerealestate.com/wp-content/uploads/2018/03/LC-WebLogo-340x156-300x138.png 0 0 loricrawford https://trinityeastlakerealestate.com/wp-content/uploads/2018/03/LC-WebLogo-340x156-300x138.png loricrawford2016-06-01 14:41:092016-06-01 14:41:09Baileys Bluff Estates! Gulf Access!